Why Devaporizers ? 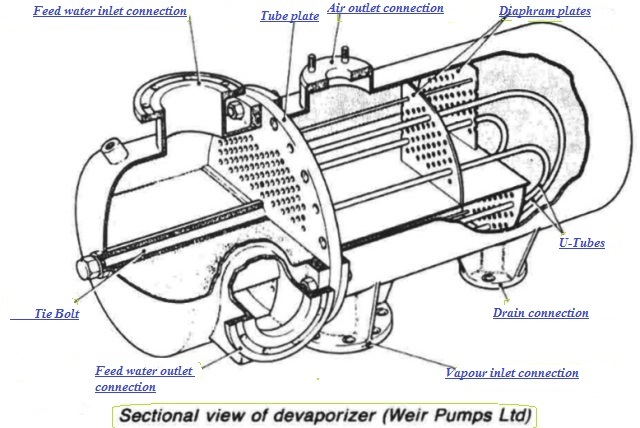 If the de-aerator cannot be vented to atmosphere or to a gland condenser satisfactorily, a devaporizer (Figure 1) is connected to the vapour outlet condensing the vapour vented with the non-condensable gases and cooling these gases before they are discharged. In the process the feed water is raised slightly in temperature. In design and construction devaporizers are similar to the other small heat exchangers working at moderate pressures. Leaving the devaporizer the feed water enters the de-aerator header. The water tube boiler, with its low storage capacity in relation to its steaming capability, demands a steady supply of pure feed water. The robust and reliable turbine driven centrifugal pump, is ideal for use as a water tube boiler feed pump. Additionally its uncontaminated exhaust can be used for feed heating and this improves cycle efficiency. 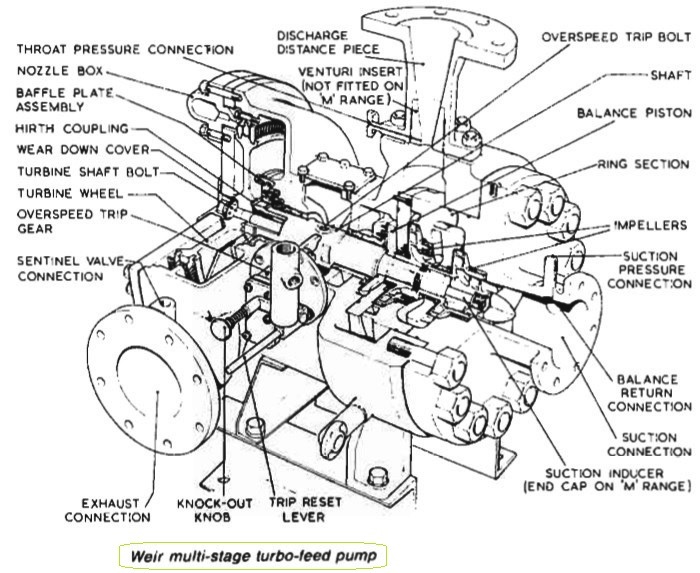 The successful development of water lubricated bearings and their use in the Weir turbo-feed pump, permitted the turbine and pump to be close-coupled in a very compact unit . During normal running, a multi-plate restriction orifice allows feed water from the first stage impeller discharge to flow through a two-way non-return valve and a strainer to the bearings. A relief valve is incorporated. A secondary supply of lubricating water is introduced through the two way non-return valve from an outside source such as the main condensate extraction pumps, to protect the bearings from damage during starting, stopping, or stand-by periods of duty. 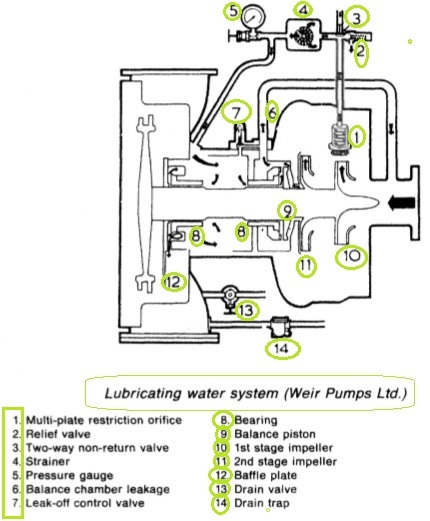 Figure 3 shows the arrangement of the lubricating water system. The overspeed trip is triggered by a spring loaded unbalanced bolt mounted in the shaft between the two journals.